Last week Rama made headway in its mission to improve the breakfast habits of South African children with the start of the Good Breakfast Schools Programme in 360 schools in the Eastern Cape and KwaZulu-Natal. The Good Breakfast Programme is a 4-week behaviour change programme that teaches children the importance and make-up of a good breakfast through interactive classes, including a Breakfast Pledge and song, The Breakfast Beat, written by musician and Good Breakfast ambassador, ProVerb. By following the journey of the Good Breakfast comic book characters, primary school children learn to understand how the major food groups can contribute towards a well-rounded breakfast, to deliver optimal morning nutrition. The programme also features exercises for children to work through with their parents, to reinforce the messages at home. Many parents don’t realise that they aren’t giving their children the ideal nutrition to start the day at their best, but through the programme, they are able to work with their kids day to day to improve their breakfast habits at home. Unilever recently commissioned a scientific white paper seeking to clarify the value of habitually eating a nutritious breakfast, in relation to the growth and development of children in South Africa (See attached). Research shows that poor nutrition among school-age children diminishes their cognitive performance either through physiological changes or by reducing their ability to participate in learning experiences, or both. Without a good breakfast, children can experience difficulty concentrating and performing complex tasks, even if the child is otherwise well-nourished. Studies compiled in the scientific white paper, revealed that school age children who regularly skip breakfast are not likely to concentrate in class, thus affecting school performance. Studies also show that 86% of children reported that eating breakfast before school helped them to concentrate better and 89% said that it gave them energy for the rest of the day. In response, Rama announced that it would tackle the issue of improving breakfast consumption of South African children to assist them in leading healthier lives and improving their school performance. 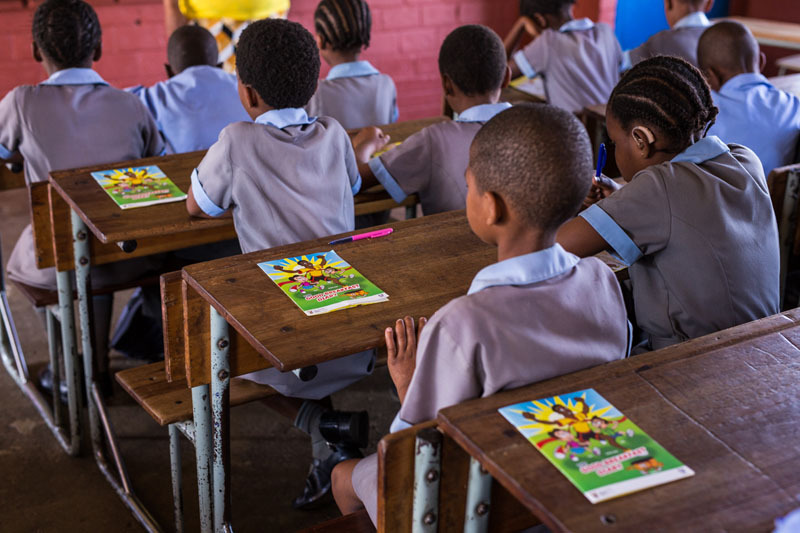 The programme is being conducted with the support of the Department of Basic Education and teachers, who were trained to deliver lessons leading up to the launch, have so far praised the programme for helping them to advocate healthier breakfast habits for children. “A healthy mind dwells in a healthy body! Good nutrition and a healthy diet are important for learners to adopt at an early age. 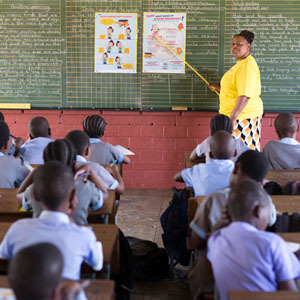 This is a good programme indeed,” commented Mrs Maphumulo of Thandimfundo Primary School in KwaZulu-Natal. 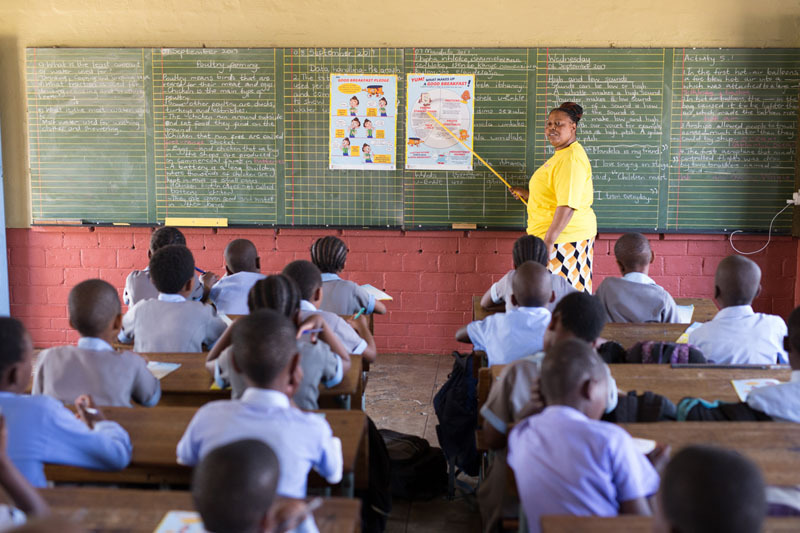 Rama is addressing the issue of breakfast nutrition in two ways – through a schools programme that teaches kids the importance of a good breakfast every day and through a digital tool – the Breakfast Check – available through USSD (dial *120*645*5#), Facebook Messenger and the Rama.co.za website. This aims to teach parents the value of a good breakfast every day and get them to consider their daily breakfast choices with more care. One of the three primary goals of Unilever’s Sustainable Living Plan, is to ‘help people take action to improve their health and well-being’, not just by providing quality food products that are both nutritious and appealing, but also by promoting healthy nutrition habits amongst consumers. Unilever is one of the world’s leading suppliers of Food, Home and Personal Care products with sales in over 190 countries and reaching 2 billion consumers a day. It has 169,000 employees and generated sales of €53.3 billion in 2015. Over half (58%) of the company’s footprint is in developing and emerging markets. Unilever has more than 400 brands found in homes around the world, including, Rama, Dove, Knorr, Domestos, Hellmann’s, Lipton, , Magnum and Axe. Unilever was ranked number one in its sector in the 2015 Dow Jones Sustainability Index. In the FTSE4Good Index, it achieved the highest environmental score of 5. It led the list of Global Corporate Sustainability Leaders in the 2016 GlobeScan/SustainAbility annual survey for the sixth year running. Unilever was ranked the most sustainable food and beverage company in Oxfam’s Behind the Brands Scorecard in 2016 for the second year.